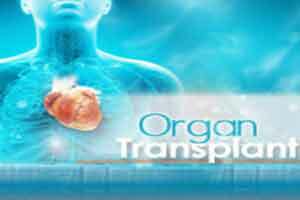 Nagpur: In a much awaited move for the formation of a new body of the Zonal Transplant Coordination Committee, the medical education and drugs department has given its approval to the appointment of Dr Vibhawari Dani, as the president and Dr Ravi Wankhede as the secretary. The term of the committee had expired in 2015 after which the committee had become almost defunct, TOI reports. The coordination activities were badly affected within because of lack of manpower and financial power. ZTCC had forwarded a proposal to the state government for the appointment of the new authoritative body with immediate effect after the expiring of the term. However somehow, the state did not act on it and the appointment remained pending till today, when now the nod for appointment has come. However, the formal order for the appointment will be issued on Wednesday as per the medical education secretary, Medha Gadgil. “The new committee will be headed by Dr Dani and Dr Wankhede. The department will issue an order tomorrow,” she added. Dr. Vibhawari Dani, to be appointed as the president, is a former dean of the Government Medical College and Hospital (GMCH) and is also an active member of ZTCC as he was earlier on the post of vice president. Dr. Wankhede along with some others was one among the executive members. While calling for some more actions towards the committee’s improvement, Dr B G Waghmare, the outgoing President claimed that the government is only going to appoint the new president and secretary.